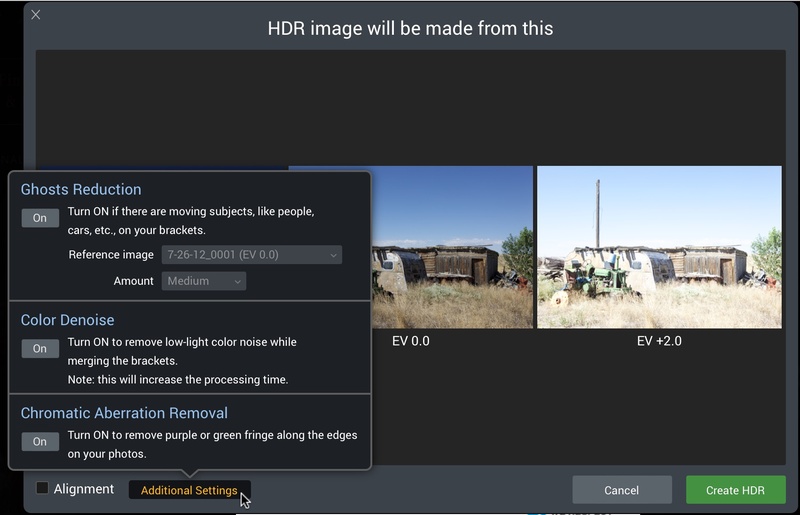 It is quite simply the most advanced HDR editor available. It features native RAW file support, works great as a standalone program or as a plug-in in Photoshop, Lightroom, and Aperture, and works with all normal file formats including PSD and will export to popular HDR file formats. It works on single exposure images but it’s real strength is with blending multiple photos with different exposures. It features normal HDR editing options like ghost reduction and alignment but also offers advanced editing options with layers, masking, and Zone System Luminosity Masks. It comes with a bunch of presets and you can also create and share your own. What is New in Aurora HDR 2017? Here is a list of what is new and improved in Aurora HDR 2017. Later in my review here I will take a closer look at some of the new improvements with screenshots and commentary. IMPROVED – Tone-mapping technology with reduced noise, improved realism of initial results and faster performance. IMPROVED – User interface. Cleaner, more modern style. 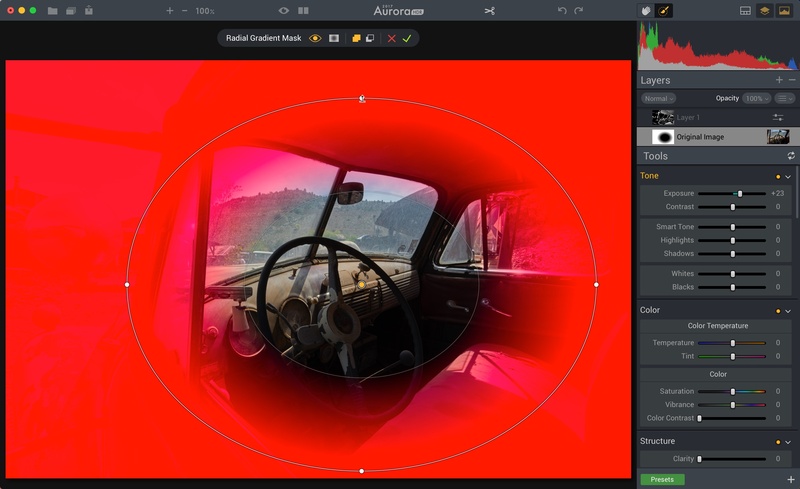 IMPROVED – Advanced Tone Mapping controls. Better recovery of “washed” highlights. IMPROVED – Color Filer/Selective Color tool. Added Hue adjustments. IMPROVED – Over 70 categorized HDR presets, including new sets from Trey Ratcliff, Serge Ramelli, and Captain Kimo. IMPROVED – Native RAW files support, including better DNG handling. IMPROVED – Open HDR dialog. Added ability to remove images from exposure series prior to merging. Improved alignment. Increased speed of merging. 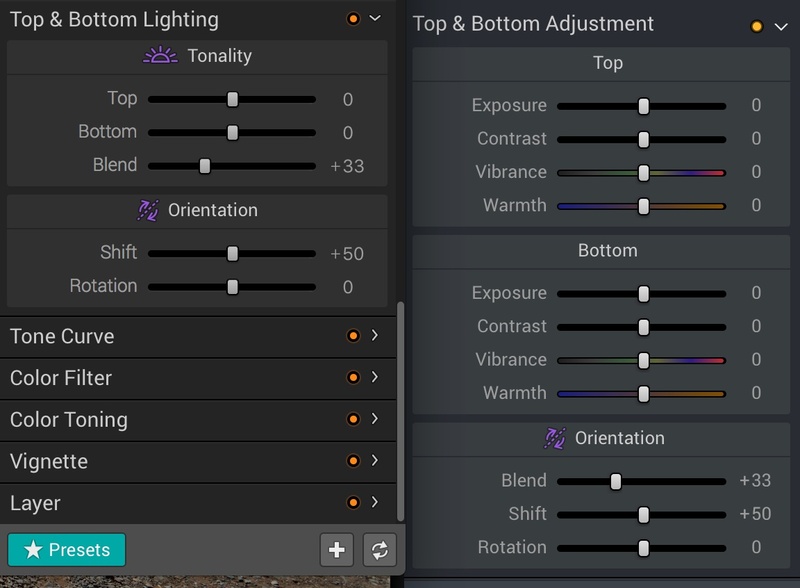 NEW – Hue adjustments in Hue-Saturation-Luminosity Panel (replaces Color Filter panel which had only Saturation & Luminosity controls). NEW – Top & Bottom Adjustment controls. Replaces Top & Bottom Lighting. NEW – Layer Type Options (Texture, Original Source, HDR Bracket). 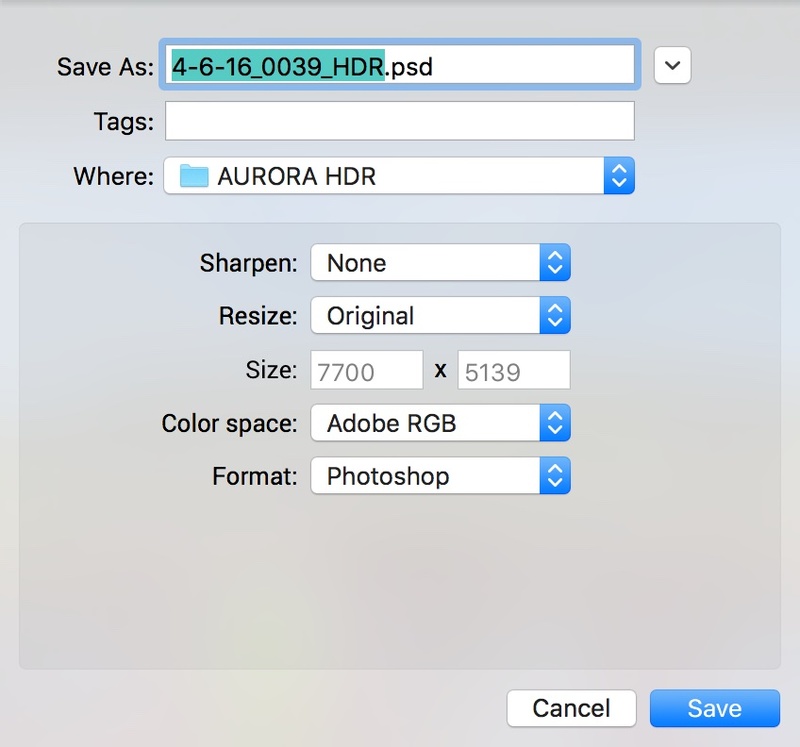 Here are screenshots and additional commentary on the most important changes from Aurora HDR Pro to Aurora HDR 2017. NOTE: These screenshots are from the latest beta build available to me at the time of this writing. The UI/features are still being fine tuned so the final look/features could change slightly when Aurora HDR 2017 officially ships. When you open your photos in Aurora HDR 2017 you will be presented with a slightly new dialog box. In addition there is a new Color Denoise option when opening RAW files. 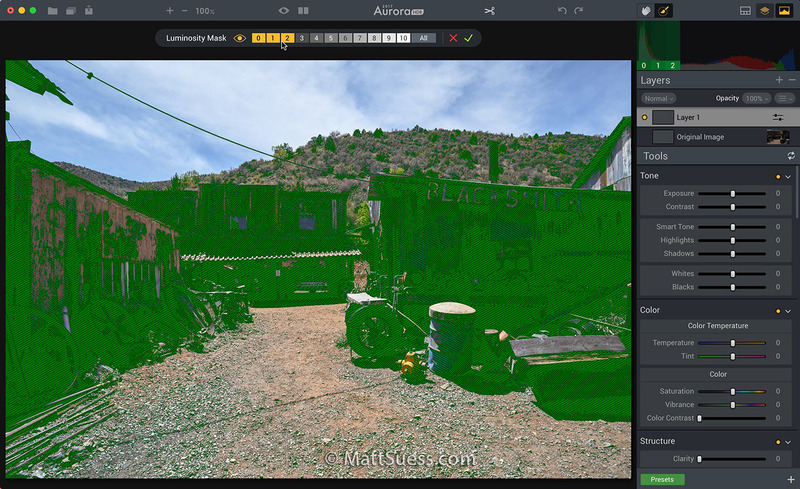 On left is Aurora HDR Pro with the new Aurora HDR 2017 tool panel on the right. 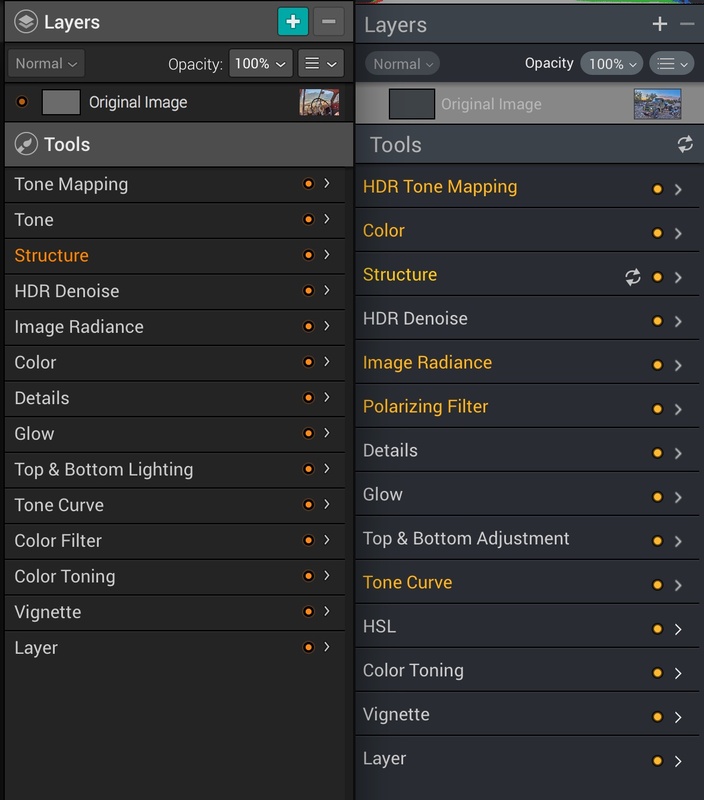 Some tools have changed names, one tool was added (Polarizing Filter), two tools combined into one (Tone Mapping and Tone became HDR Tone Mapping), and the order has changed. Of greatest importance with the order is the Color controls moving just below Tone controls. This makes perfect sense from a normal linear editing workflow where tone and color controls are usually edited first. In the original Aurora HDR I often found myself making tone adjustments then skipping down to Color controls, only to have to jump back up to make Structure adjustments after. Tone Mapping and Tone from the original Aurora HDR has been combined into HDR Tone Mapping for 2017. The original Tone Mapping had 3 controls – Spectrum, Spot Lighting, and Final Touches. These have been combined into one slider – HDR Look. I am not sure as to why they did this, other than to think that the original 3 controls had such a subtle effect that they decided to simplify things with one slider this time. The HDR Look slider also provides a subtle look to the photos, with more of an HDR look with the slider moved to the right. The sliders also had their order changed, and the Midtones slider is gone with the addition of the Exposure slider. I am not a fan of losing the Midtones slider. The Midtones slider had a slightly different effect than the Smart Tone slider in the original Aurora HDR and I found myself using both sliders most of the time. In Aurora HDR 2017 the Smart Tone slider is a little too sensitive when moving it to the right, causing flat images with some blown out highlights when maxing it out and looking a little worse at this extreme when compared to Aurora HDR. Both Aurora HDR and Aurora 2017 look the same when the Smart Tone slider is maxed out to the left. NOTE that I am writing this review based on a beta version of the software. They are still fine-tuning the software at the time of this writing and this particular problem with the Smart Tone may in fact be corrected in the final version. Not sure how Hue was missing from this panel in the original Aurora HDR, but it is here now in Aurora HDR 2017. Not a major feature by any means, but it is nice to now see the histogram in the Tone Curve panel. In Aurora HDR it was called Top & Bottom Lighting. Now in 2017 it is called Top & Bottom Adjustment, and it has become much more powerful with a big makeover. The only control we had in Aurora HDR was Exposure. Now not only can we control Exposure on the top half and bottom half of the photo but we also have options to adjust Contrast, Vibrance, and Warmth. This tool panel was one of my favorites in the original version, and these are some great new additions giving you much more control over the final look of your photo. A much more intuitive and streamlined way of adding new layers is very welcome in Aurora HDR 2017. It is amazing how much more improved this is over the old version. While no software can possibly recreate using a real polarizing filter in the field, the new Polarizing Filter in Aurora HDR 2017 does a very nice job of intensifying blue skies and making clouds pop. Be real careful with this filter however as it is very easy to overdo it! This is a very nice add to the software and I can see myself using this filter quite a bit. Now on to one of my absolute favorite new features in Aurora HDR 2017 – a totally killer new way of working with luminosity masks that simplifies the process yet gives you incredible control. I am so in love with the new Zone System for Luminosity Masks that if this was the only new feature in Aurora HDR 2017 I would buy the upgrade without hesitation! First item of business – what exactly is a luminosity mask? A luminosity mask is a special mask that gives you the ability to select certain areas in your photo based on tone, or how light/dark those certain areas are. Why is this important? Sometimes you only want to make adjustments to certain tones in your image. 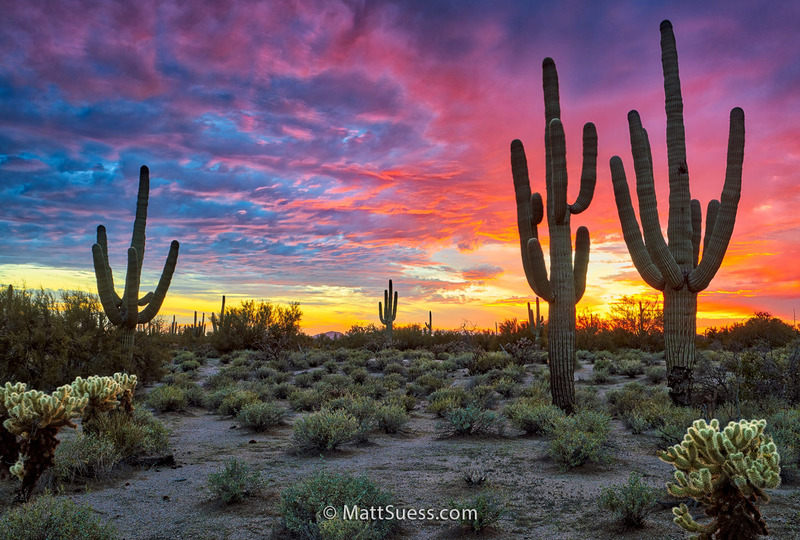 In my saguaro cactus sunset photo at the top of this post, I used the Zone System to select the sky. Then with that mask I brought in one of the original photos as a new layer and used that for the sky in my HDR image, which gave me a much more natural looking sky than what was there with the 3 exposure HDR blend. Learn how to use the new Zone System for Luminosity Masks and your photos will never be the same again! In Aurora HDR 2017 they divided the entire tonal range of the photo into 10 Zones. It starts at Zone 0 (pretty much pure black) and the Zone range increases based on brightness levels and maxes out at Zone 10 (pretty much pure white). In the new Zone System for Luminosity Masks, you can select any of the Zones to create a mask. But you are not limited to selecting just one Zone – you can select 2, 3, 4 or more different zones. Once you select your Zones, your mask is created, allowing you to make adjustments to that specific zone range you just created. Now all you have to do to create your Luminosity Mask is to choose the specific Zone(s) that you want the mask created from. You will get a green visual overlay on your photo as you choose Zones. In this example, you can see I selected the three darkest Zones: 0, 1, and 2. Once you selected the Zones you want the mask created from, click on the check and your mask is created. You can see via a red overlay the mask I just created. Now you can use any of the tools to adjust your photo based on your luminosity selection. Tip: now that you have your mask created, try using the brush to either add to or subtract from your newly created luminosity mask! This is a really cool new feature allowing you to adjust both the Density and the Feather of your already created mask. This is another feature that is surprising to think that it wasn’t there in the original version, but very welcome in 2017. You can click on each of the 4 white dots on the circle to adjust the radius, and you can click on the center yellow dot to reposition it. 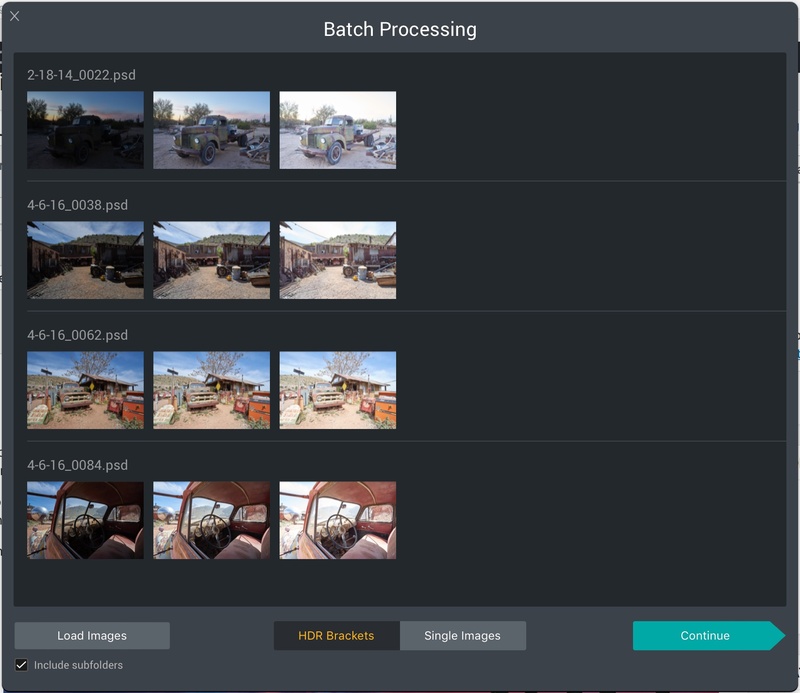 Now you can batch process photos in Aurora HDR 2017. Features include automatic recognition of brackets and support for sub-folders and Batch presets. 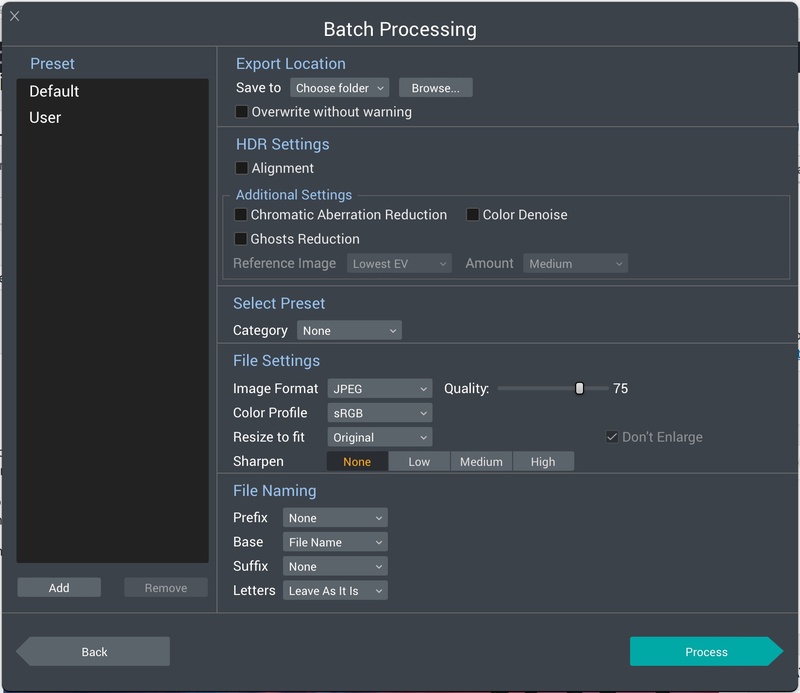 After choosing to Continue, I was then presented with this dialog box where I can choose my export location, alignment, chromatic aberration reduction, color denoise, ghost reduction, preset, file setting, and file naming. Clicking on the Process button starts the batch processing and the files are processed according to my settings. A big time saver if you are processing a bunch of photos with a similar look. Now when you export your file you can choose to apply Sharpening in Low, Medium, and High Settings. You can also Resize the file by Original, Long Edge, Short Edge, or by specifying specific Dimensions. The most obvious thing missing is a Windows version. I am told that a Windows version is in development – so there is good news there. The bad news is that I can’t comment on when it might be available. So for the time being, Windows users are out of luck in being able to use the most advanced HDR program available. Hopefully that changes soon! UPDATE: According to a public post on Facebook from someone from Macphun, expect a Windows version in Spring of 2017. 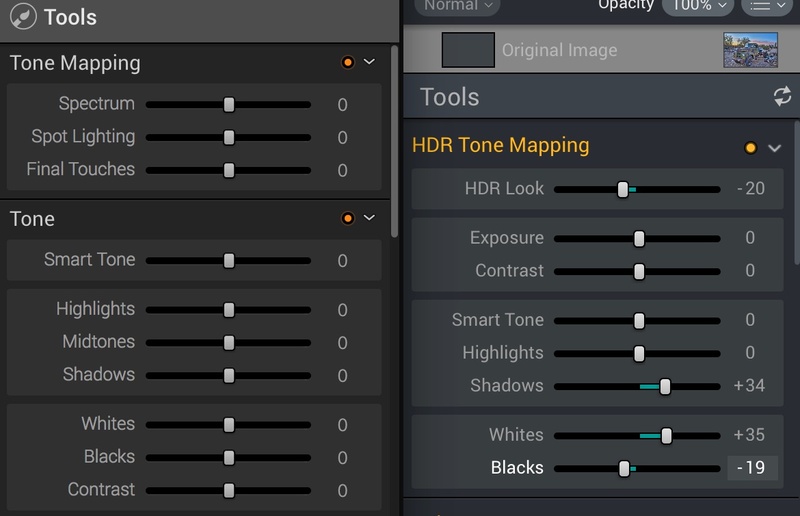 Would like to see the return of the Midtones slider in the HDR Tone Mapping panel. Any features you would like to see? Let me know in the comments section below! Right now Macphun has a fantastic pre-order special offer that you can get here! Here are the details. Be sure to use this link here to order and receive all of the bonuses! While there are a number of HDR programs out there, the main players in the HDR software field and the ones HDR photographers mostly use have been Nik HDR Efex Pro and Photomatix. Yes, you can do HDR merging in Photoshop and now in Lightroom but honestly, Adobe’s implementation is not all that impressive so I can’t truly consider them competition. 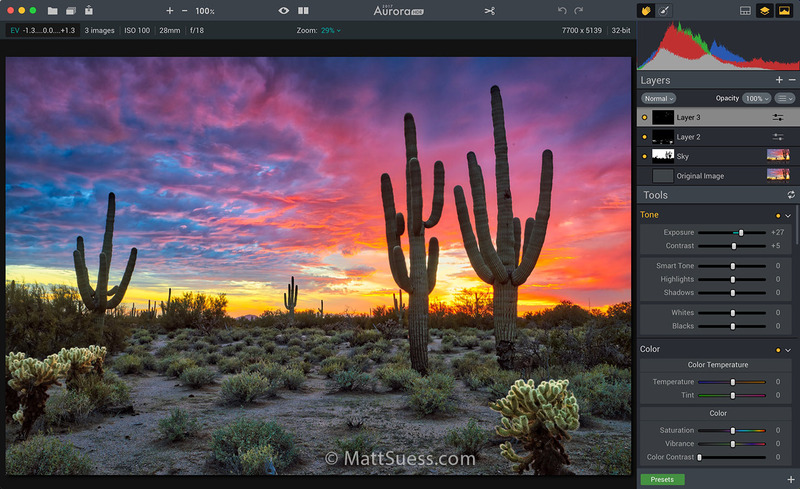 Photomatix Pro by HDRsoft has been the go-to HDR program for most photographers, including Trey Ratcliff (well, of course until Aurora HDR came out). Version 1.0 was released in February of 2003 for Windows and May of 2003 for Mac, so it has obviously been around for quite some time. But development and advancement on the program has seemed to slow down to almost a standstill. The last major release, v5.0, came out in November of 2013 and now almost 3 years later it currently sits at v5.1.3. The updates that have happened over the last 3 years have basically amounted to bug fixes and new camera RAW file support. And the interface now looks old and dated by today’s standards. Where is Photomatix Pro v6? Rumor was that it was going to be released late last year, but there is still no word on when v6 is coming. Nik HDR Efex Pro was originally announced in August of 2010, with HDR Efex Pro 2 being announced in July of 2012. When the original HDR Efex Pro software came out it instantly became my favorite and v2 only improved it. I preferred it much more than Photomatix. But then in September of 2012 Google acquired Nik Software and we haven’t seen a new version – nor do I expect to see one – of HDR Efex Pro. So in taking a look at Aurora HDR’s main competition just from a development standpoint and not even comparing features, there really is no competition. One software package hasn’t had a new version in 4 years and seems out of the game, while the other hasn’t had a new version in 3 years. In software development these days, 3 years is an eternity. Lastly, it is interesting to note that some people were actually upset that a new version of Aurora HDR was coming out so quickly! Personally – I was very excited to hear a new version was coming out so soon with new features & enhancements. I would rather have a new version each year with new options to improve my photographs than waiting years for something new to arrive. Things change way too quickly these days and if you don’t stay on top of it, your competition will. MacPhun is definitely not the first software company to rely on yearly upgrades, and they won’t be the last. 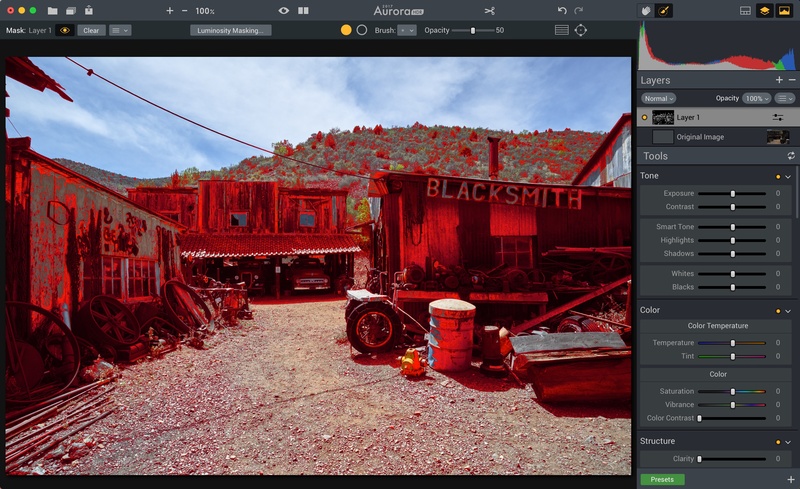 Macphun has taken the absolute best HDR editing program on the market and made it even better, further separating themselves from the competition. With improved overall speed, killer new luminosity masking features, improved layer options, better masking features & brush performance, new batch processing, a new polarizing filter and much more, Aurora HDR 2017 is a must-have upgrade! If you never used Aurora HDR before, I suggest downloading a trial version of Aurora HDR 2017 once it becomes available. In my opinion Aurora HDR 2017 is by far the best HDR editing program available today. It is my go-to software for HDR photographs and it is even quite impressive on single exposure images. The control I have over my HDR photographs is unmatched and that allows me the freedom and opportunity to expand my creativity with my photos in ways that were never possible before. I am currently in production of an online streaming & downloadable video course taking you step-by-step through the entire Aurora HDR 2017 program. If you want to know all there is to know about Aurora HDR 2017 and HDR photography, this is the course for you! The course is planned to be released mid to late October, with pre-ordering opening soon! If you are interested in this course and want to get on the pre-order list let me know ASAP by letting me know here! Those on my pre-order list will be eligible for exclusive savings on the course. I am looking at scheduling some classroom and field photography HDR workshops featuring Aurora HDR 2017 for the 2017 calendar year. If you are interested in them, be sure to sign up for my Photography Education Newsletter to get first notice of the workshops in addition to other photography educational opportunities. Hi Alan – I would give the free trial a spin when it is available to see if you can live in a single monitor with it. It’s a major annoyance for sure, but I can put up with it simply because it can do what no other software can do. What I end up doing is having my finder window open with photos – or ON1 Browse – in my second monitor. Then drag and drop photos into Aurora in the main monitor. And when Aurora is loading images, while I wait I can use the second monitor to do other things. thanks for the thorough review. Very helpful for understanding what has changed and what is new. Regarding HDR Efex Pro, former employees of Nik created MacPhun. 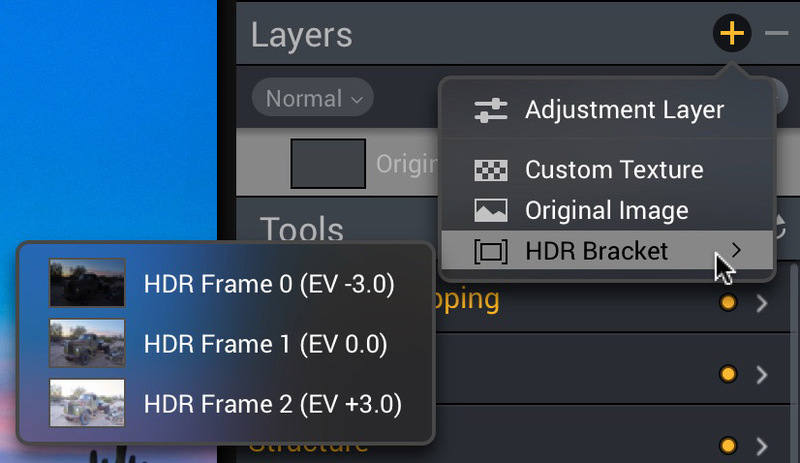 So in that respect, HDR Efex has been upgraded. By contrast, Google making the entire Nik Collection free indicates this software has come to its developmental end. Too bad as these are great post processing tools. Thanks Joseph – glad you enjoyed the review, and I agree with your assessment of Nik/Google.